In Japanese culture, the crane symbolizes longevity and good fortune, while cherry blossoms represent the ephemeral nature of life. I recently rediscovered some stylized cherry blossom (sakura) art that I had drawn a couple years ago. These flowers felt like a natural compliment to my previous paper crane (orizuru) drawing. 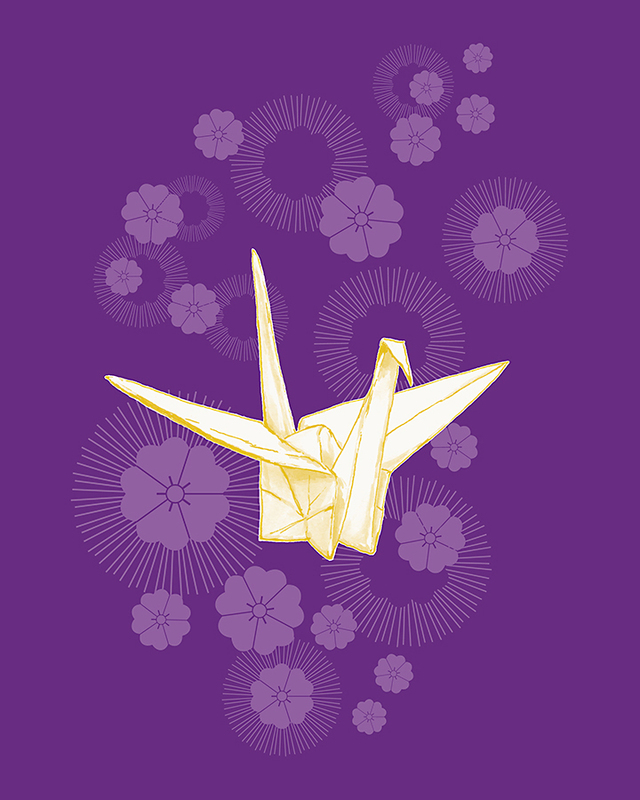 I revisited my original paper crane drawing by refining the scanned image and adding the cherry blossoms to a purple background.